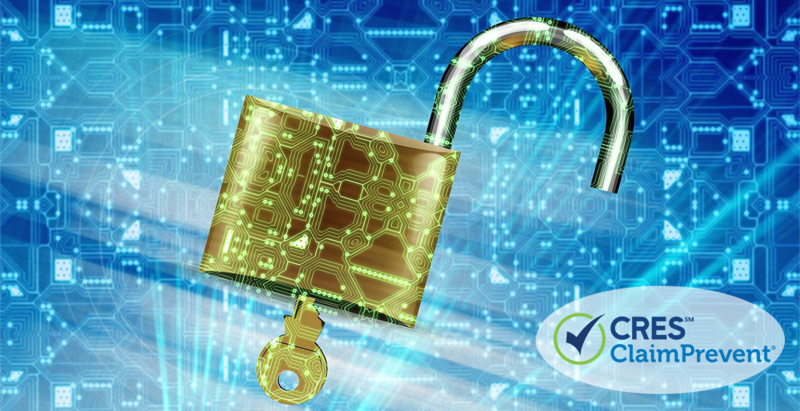 Data security is increasingly important in your role as a real estate agent, because you collect data from your clients every day Further, it’s important data, which in the wrong hands, could be detrimental to both you and your clients. Data security breaches could result in identity theft or fraud, and have long-term consequences for your client, as well as you and your business. The National Association of REALTORS® has even included in their Code of Ethics a clause reminding realtors of their obligations to “preserve the confidentiality of personal information provided by clients” in the course of their work. Where you store your data needs to be secured, whether that’s server-based storage on your business premises, or cloud storage or backup. If you’re using the cloud, just how secure your online data storage depends on your service provider. It’s important to use a reputable company who offers you premium data protection. You’re trusting them with all of your business data and confidential client information, so you want to make sure this is 100% safe and protected from hackers. When making decisions about storage solutions, be sure to check what security measures are in place, including encryption, hacker protection during file transfer and two-step verification. If you’re backing up to a local hard drive, make sure you have access controls in place to protect the data. There are many templates available online or you can work with your attorney to tailor policies specifically to you and your real estate business. If you work with a team, make sure you also have defined procedures in place to control access to client data and confidential business information. Regularly change your passwords and make them complex enough that they cannot be easily figured out by potential hackers. Using a combination of letters, numbers and symbols is best and avoid using the same passwords for multiple accounts. There are several password “managers” on the market, such as LastPass, which can store your passwords and log you into your accounts automatically. This makes it easier for you to keep track of complex password combinations. Whatever security method you use, guard your passwords and login credentials carefully. Keep your antivirus software updated and firewalls active to protect from cyber attacks. Beware of emails from scammers requesting payments or personal details. Never click on attachments or links contained within emails from unknown senders — even if it LOOKS like an email from another real estate agent or office. Locate the sender’s phone number from a source other than the email, and call the phone number to verify the sender is actually a real estate professional. These emails are often sent with the aim of downloading malware onto your computer to steal confidential information. If you plan to engage an external IT consultant to manage your data security, undertake a comprehensive vetting process and do your homework first. Use a reputable consultant with a solid reputation for quality work. Check references and online reviews, and seek recommendations from others within your network. Additionally, when you engage an external consultant, work with your attorney to develop a contract that protects your business interests if there’s a breach of security on the part of your contractor. Check your Errors and Omissions insurance coverage to see if your current policy will cover incidents relating to cybersecurity. CRES offers comprehensive coverage tailored specifically to real estate, and you can customize your policy to suit your business needs. Cyber liability can be added to a CRES Real Estate E&O policy, so you’ll have peace of mind that if an incident does occur, you and your business will have premium protection. With CRES Real Estate E&O + ClaimPrevent®, you’ll even have access to a Legal Hotline 7 days a week, so you can prevent claims from day one. We want to help you avoid lawsuits and claims, not just help you deal with them after they occur. To find out more about CRES Real Estate Insurance options, contact us at 800.880.2747.